Use this one-of-a-kind promotional product idea to increase corporate brand awareness while giving your customers and business partners something they will truly enjoy. As far as advertising possibilities go, the sky is the limit. They go wherever your customers go, so they’re constant reminders, attention grabbing advertising media. 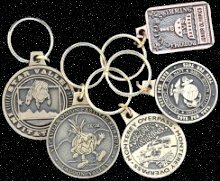 Select your customised promotional keyrings from our extensive quality range for exactly the key ring you are looking for. 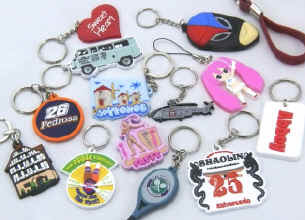 High Quality Customized Promotional Key Rings. Loads of innovative and fresh ideas. Show your brand off to its best, whether you want to thank your staff, impress potential customers or as a brand reminder at a sales conference. 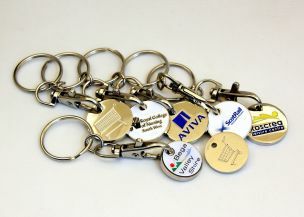 Acrylic keyrings are simple, cost effective and promise to get your message across. Corporate way to help you to keep your business details and company logo advertised. 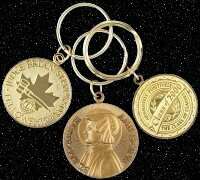 Metal Trolley Coin keyrings are the perfect retail friendly product to promote a specific cause or company. 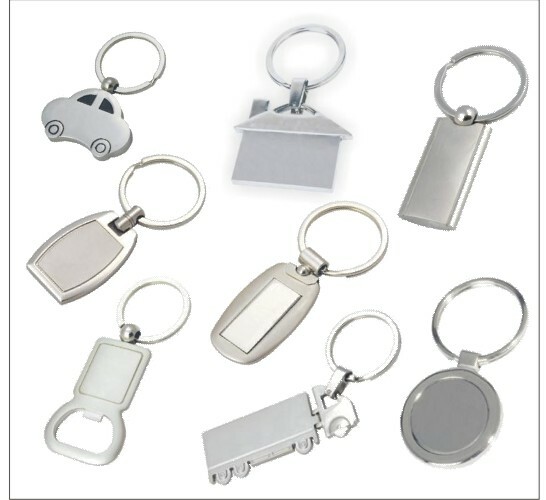 Customised Trolley Token keyrings are the ideal promotional product for raising your organisations profile as well as raising funds. Single or double sided, $2 coin size. Available sizes (inserts): 33 x 33 mm, 45 x 62 mm, 58 x 80 mm, 33mm round. Our Soft PVC Key Tags are a popular and effective promotional product that allows for either a 2D or 3D design. The rubberized manufacturing enables high quality printing and vibrant, colorful finishes. Soft plastic with single sided full colour high quality printing. Lightweight & economical product.High quality vibrant, colorful and glossy finish. These represent a great option if you’re looking for a lightweight product.Cut standard or customised shapes with high quality 1-4 colour printing. 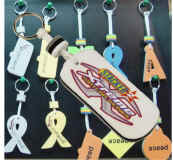 Classy plastic key chains with large logo area.This item can be full colour printed for best results. Imprinted can opener and bottle opener products are great for local marketing events.Place your custom imprint on an item that will be used and appreciated! 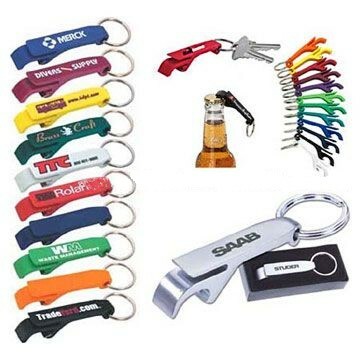 These bottle and can openers are the perfect promotion for trade shows, golf tournaments, picnics, and special events. Perfect & cost effective promotional product for young men or women market. silicone bracelets, silicone wristbands, custom silicone bracelets, custom wristbandsDecoration: Silkscreen print, debossed, embossed logo with color filled. Comes in a variety of colors. 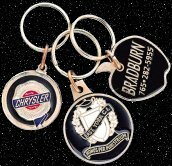 Classy Metal key chains with smooth shape and large clear logo area. This item can be engraved for the best and permanent results. When “image really counts”, present a competitively priced, Premium Line of Die Struck Key Tags.Available in Polished or Antique finishes. Custom Cast Key Tag, any shape or design available with or without colour.Finishes: Bright or Antique of Gold, Silver, Copper. Packaging: Individually poly bagged. Standard attachment – split ring.Hand Finished. Minimum quantity of 50. Custom Cast Key Tag, any shape or design available with or without colour.Finishes: Bright or Antique of Gold, Silver, Copper. Standard attachment – split ring. Packaging: Individually poly bagged. Hand Finished. Minimum quantity of 50.